Tabulae shall publish original review articles and research. It shall be a peer reviewed publication directed by Academia Minervalis. The journal is to promote discussion, research and learning in all topics related to ancient Roman culture and history. 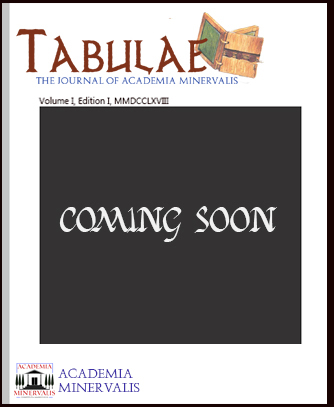 In doing so the Tabulae will further the mission of Academia Minervalis. Papyrus and parchment were expensive and generally non-reusable. The tabula, a wax tablet overcame these problems and roughly correlates to today’s notebook. The tabula were made of hollowed out wooden blocks filled with melted, often black wax. Notes were made on the hardened wax surface by scratching into it with a stylus. Even documents of permanent significance, such as property conveyances, were made on tabulae. It was not uncommon for multiple blocks to be bound together resulting in multiple "pages". This basic tool of communication and record keeping was a key instrument in ancient Roman academics. Therefore, this medium is the ancient ancestor to this online journal. Academia Minervalis gives homage to the simple tabula by naming its journal after this device. It also incorporates an image of several tabulae bound together as the offical logo of the publication. The first edition is coming soon, please check back later. "Grasp the subject, the words will follow.."
The Tabulae provides a forum by which scholars, instructors and students may publish original works on ancient Rome. Anyone may submit review articles or original research to the Tabulae. We strongly encourage current students and instructors to offer their talents to the journal. All submissions are reviewed by a panel of instructors. This panel evaluates submissions for academic credibility, completeness, and relevance. The panel at its discretion may suggest revisions and resubmission, reject or accept all manuscripts. The journal is published online and can be downloaded from our website free of charge. All submissions must be emailed to the Tabulae at: tabulae@academiaminervalis.org. All submissions must meet the following criteria. Submission must be an original manuscript produced by the author. The submission must not be previously published. We only accept well researched review articles or research.  All submissions must relate to ancient Roman culture. Acceptable topics would be history, literature, religion, military affairs, philosophy, art, architecture etc. All submissions must be attached as a word document (.DOC). All manuscripts must be double spaced, font size 12, with font style new times roman. All submissions must have complete footnotes which cite academically credible sources. Pleas cite original sources were possible. We ask that all citations be done in the Chicago style. See Memorial University's guide for more information on this citation format. All submissions will be reviewed in full by the Tabulae review panel. Authors will be contacted once review is complete. There are four possible outcomes. 1. Acceptance without revision 2. Acceptance pending revision, 3. Revision and rereview, 4. Rejection. Comments will be attached to your response and will briefly explain the rational for the decision made.